To work towards best practice and safety in relation to the prevention,treatment and investigation of perioperative allergy, working with other agencies nationally and internationally. 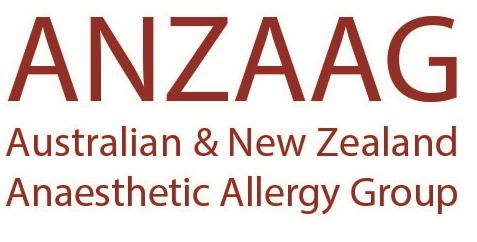 To foster information exchange, standardisation of practice and good working relationships between anaesthetists, immunologists, allergy technologists, other medical specialists and allergy support organisations involved in the follow up and investigation of patients who experience perioperative allergic reactions in Australasia. To establish a research database of perioperative allergy within Australasia and to foster critical inquiry and other research in this area. To seek other opportunities to keep anaesthetists, immunologists and allergists updated regarding the subject of perioperative allergy.